Dr. Jack Zangara graduated from the University of Bridgeport College of Chiropractic in 2015. 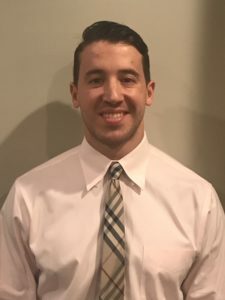 His goal is to help patients by diagnosing and alleviating the symptoms utilizing chiropractic techniques. Dr. Zangara has always been interested in sports, he played basketball, soccer, and studied karate growing up. After a significant sports injury, he realized that he wanted to help athletes recover from sports injuries. Dr. Zangara is full body certified in ART and has used this technique to help many of his athletic patients such as CrossFitters, weightlifters, and amateur athletes. In his free time, Dr. Zangara is an avid CrossFitter and loves playing golf and spending time with his family and friends.